Have you experienced 84 RV Rentals & Service? Help others learn about this company by sharing your first-hand information with other road-trippers. Started with a different name, 84 RV Rentals & Service ventured almost all features of RV dealership― sales, rental, campground, service, and storage. As of the time being, this 5 decade old rental business focuses on rentals and service to be able to provide more reliable fleet, which is really transparent in almost all their reviews. 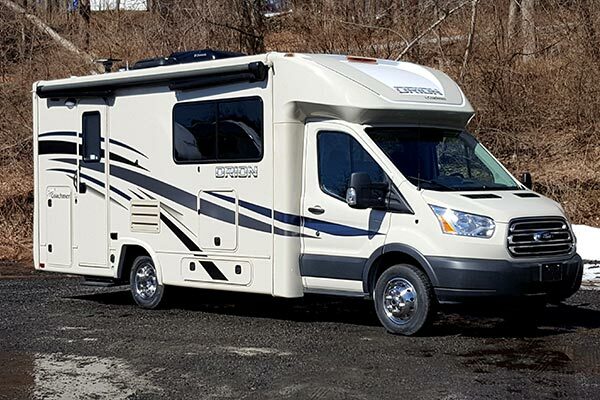 Because of their expertise and reputation, the company provides competitive rates from discounts of bigger RV dealerships while still giving a more friendly touch to each rental. Though only one depot, they offer options to cater your specific delivery needs. 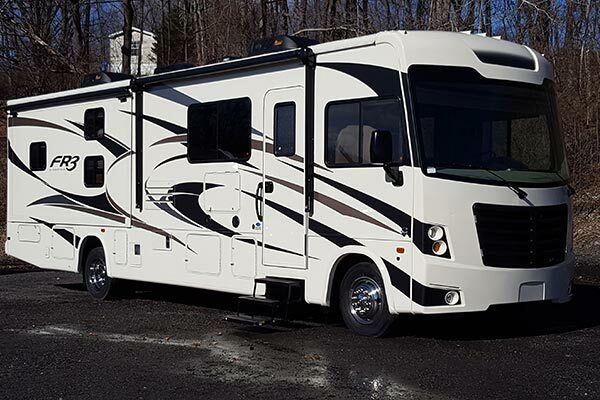 Hit the road in style and luxury with 84 RV Rentals & Service fleet of motorhomes and travel trailers. The motorhomes, in particular, range from Class A to Class B and Class C units, catering small to large group up to 8 people. The motorhomes are equipped with private bedroom, full bathroom and kitchen. Not only that, just add a couple of dollars and you can bring your furry pet with you! 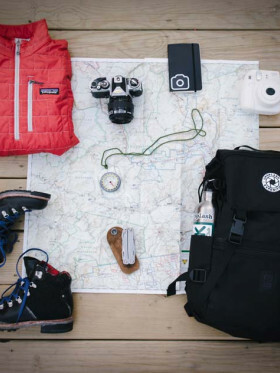 Just take note that your rental is not furnished with bedding or household items, so you may pre-purchase their vacation and linen kits or bring your own. 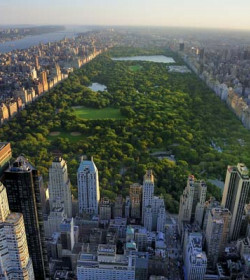 Take pleasure with some of America's spectacular sights through this spacious Class A with bigger and better road views. 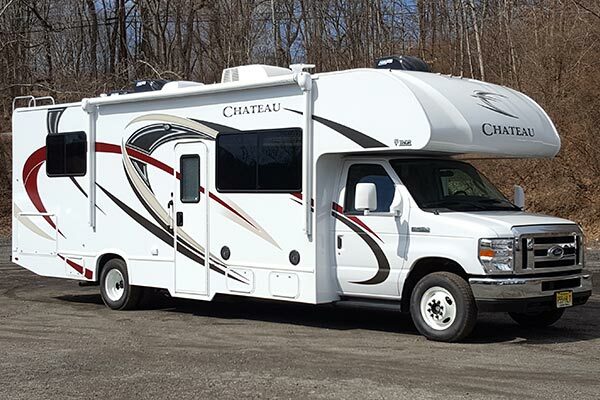 The motorhome is definitely big enough to take up to 8 people without leaving all comforts of a home behind. Aside from an expanded length, this one also features an extended width because of the two slide-outs positioned at the living room and bedroom. The back is fully allocated for the private sleeping quarters with king bed, lots of storage and complete entertainment set. 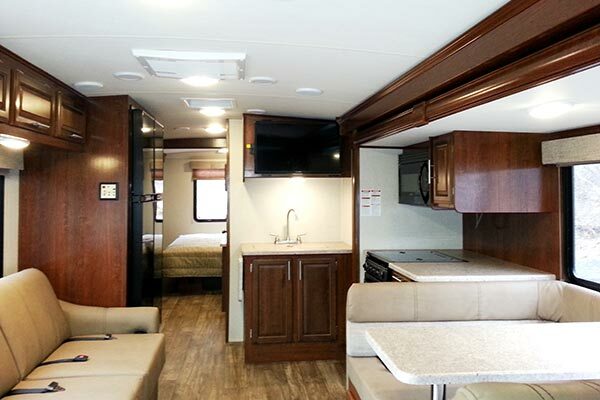 Moving on to the living/ kitchen area, you will not be disappointed with the luxury appointments it provide, ranging from the residential microwave to the booth dinette and jackknife sofa with footrests. The full bathroom, on the other hand, comes with skylight shower and toilet. If you want both comfort of a Class A and Class C motorhome, then you should drive a Class B unit. 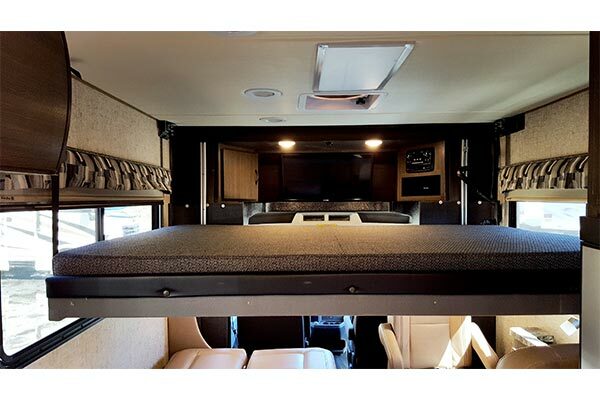 This RV gives you nice driving visibility while providing additional sleeping area at the cab-over. At 23', the motorhome is the smallest option on fleet; hence, only sleeping up to 3 people― sofa bed and front overhead bed. Even with the limited dimension, the interior layout is well designed to equip you with useful features like kitchen, pantry, refrigerator and private bathroom. One unique facility added adjacent to the sofa sleeper is the flip-up table with two swivel chairs. This small yet compact Class C is all you need for a family of 5. However, expect for a more restricted layout, with the queen bed just inches away from the sink. This might be a concern for those wanting luxury space. 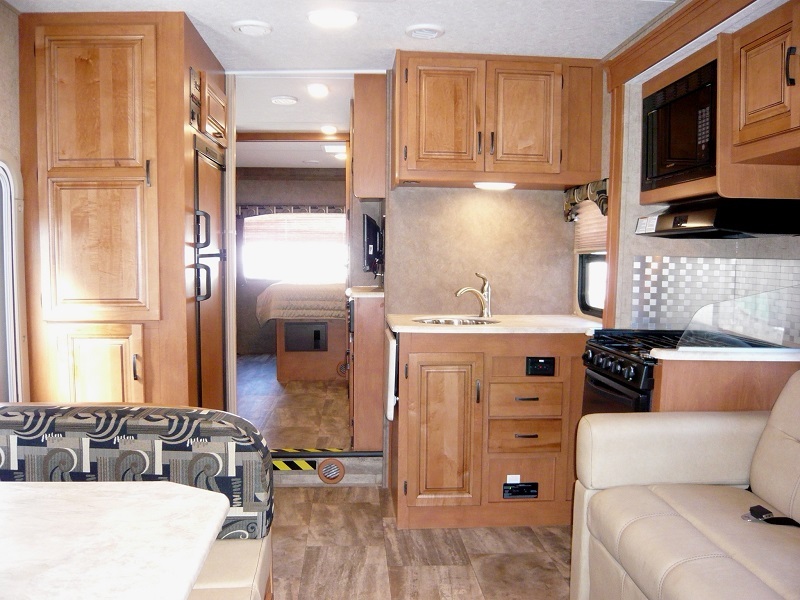 Nevertheless, the motorhome is furnished with the basics like dream dinette, private bathroom, kitchen facilities. And near the entry is a nice swivel chair. 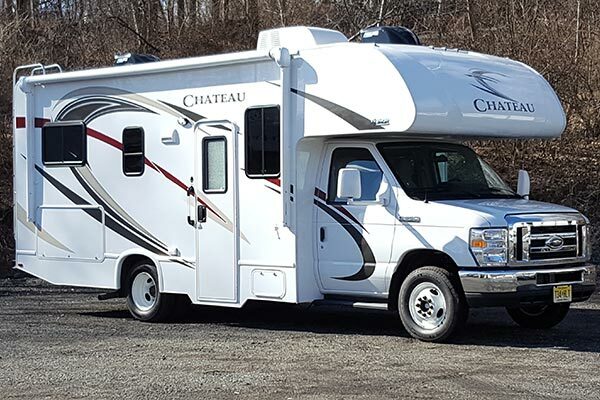 A bigger Chateau model, the 28' unit can now cater up to 6 people on-board. 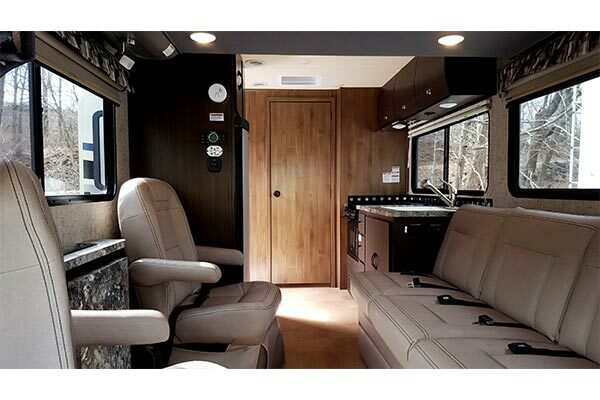 The motorhome is just like most normal Class C RVs with dream dinette, sofa sleeper, rear bedroom and cab-over bunk. The bedroom, however, is quite distinct with step-ups all over the area― at the entrance and near the closets. The living room slide-out that starts from the dinette to the L-shaped kitchen makes every cooking session more comfortable. The latest addition for 2018 is the 29' Sunseeker. 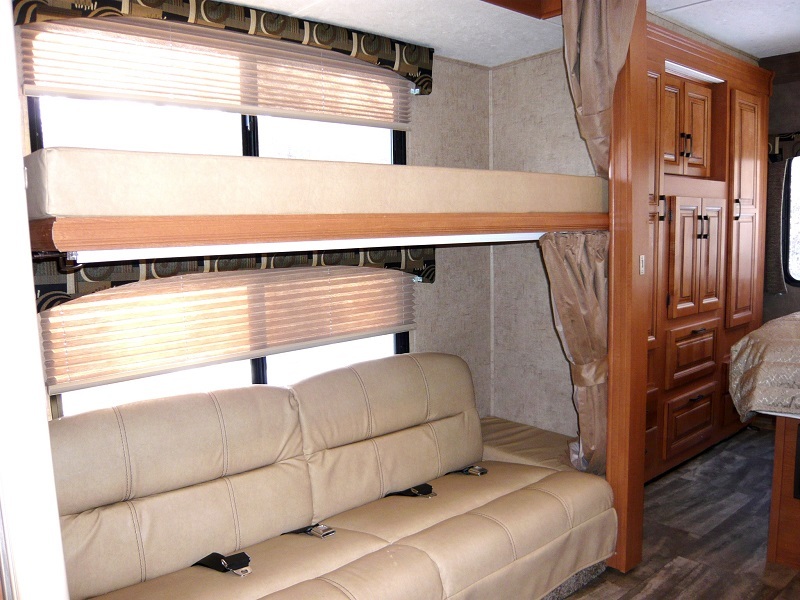 This 6 berth motorhome is oozing with extra space and elegant appointments. From the living area, the sofa sleeper and dinette are smoothly located on one side while the entire kitchen is positioned on the other lane, leaving the entire center area for walking around or stretching your legs. In addition the roomy ambiance is the living room slide-out. There's a step-up going to the bedroom, and a full bathroom on the side. The bunk bed located at the cab-over has a 32' TV for all-night entertainment. The 31′ Quad Bunk Class C is the ideal option for those travelling with lots of kids. 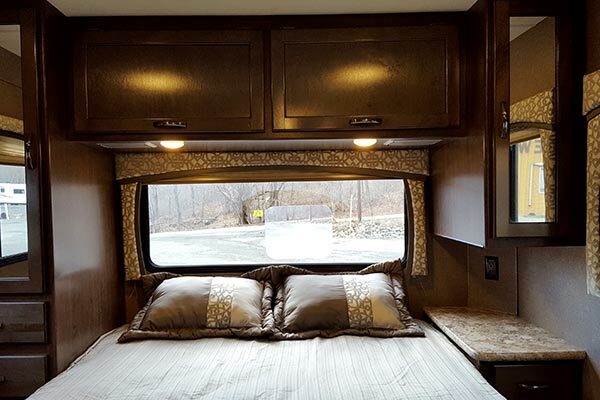 The back area is apportioned entirely for the 4 bunk beds, making the cab-over bed the area for the queen bed. Other sleeping areas would be at dinette and sofa sleeper that come with a super slide-out to expand the living quarters. 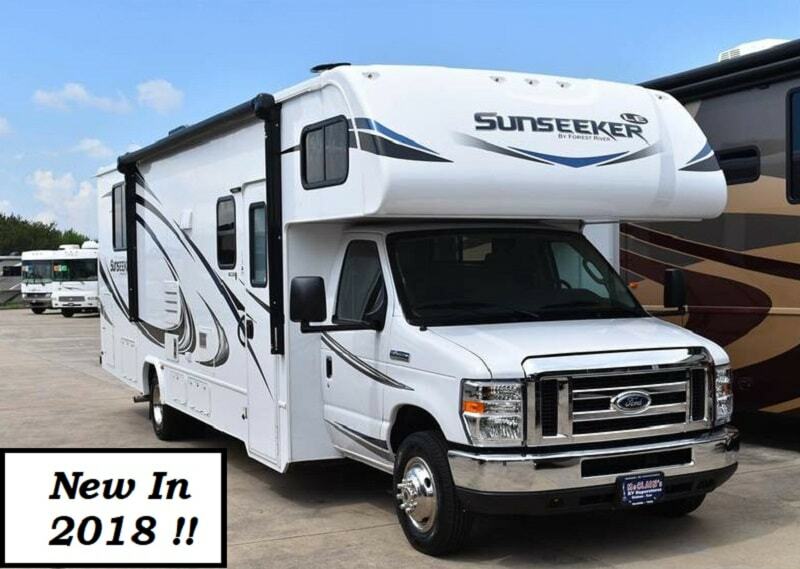 The biggest among all Class motorhomes, this 32' Sunseeker sleeps up to 8 and features a more spacious living room because of the two hall slide-outs. The rear bedroom offers a queen bed with two cornered wards for your clothes and optional TV set. Your kids can comfortably sleep at the hall bunk beds or overhead bunks. Also inside is the private bedroom with toilet and tub. Take note, this is the only option with a fancy tub! To save money, you can provide your own insurance that must have coverage for auto liability, collision and comprehensive insurance. 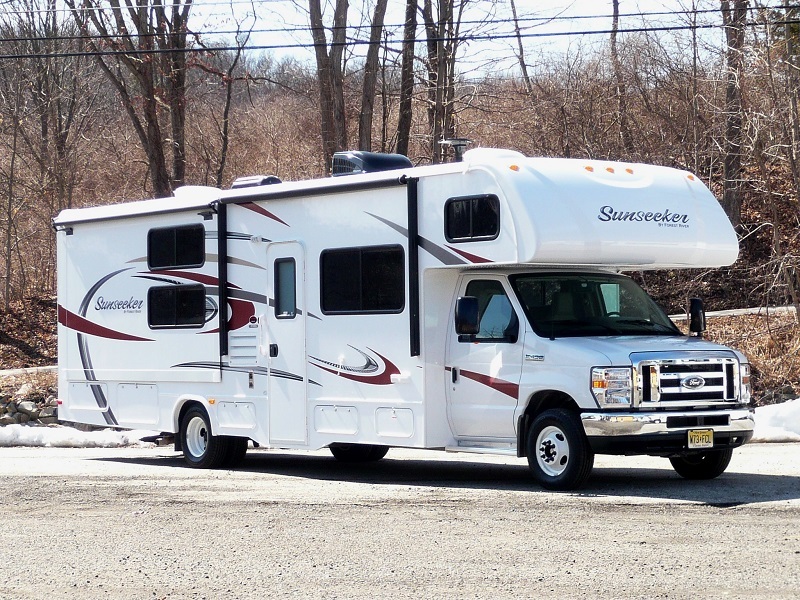 You also have the option to avail of the RV Supplemental Liability Insurance, which can be purchased online. The insurance provides coverage of $1,000,000 liability insurance. 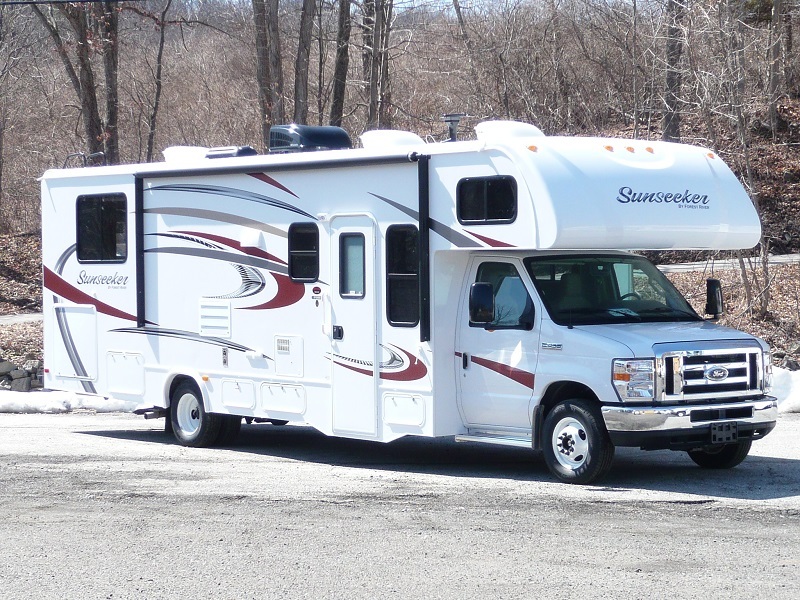 For more than 5 decades, 84 RV Rentals & Service Positive has maintained their good reputation of providing quality rental and service. The company's constant attention to friendlier rentals and well-maintained vehicles never goes unnoticed as almost reviews are positive ones. Their diverse fleet of motorhomes may not be the cheapest in town but their expertise is a great catch. They are even pet-friendly! Just be sure to bring your own linen kit and cooking equipment to avoid additional fees. 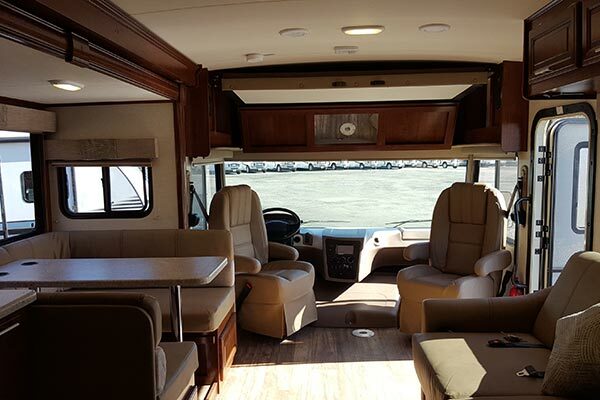 Renting a motorhome or even travel trailer from 84 RV Rentals & Service means you are in good hands. Their expertise and reputation have been around for more than 50 years and counting. Have you experienced 84 RV Rentals & Service?